£100 deposit required to secure booking, which is then used as your damage deposit. Balance is then due at least 6 weeks prior to start of your holiday. 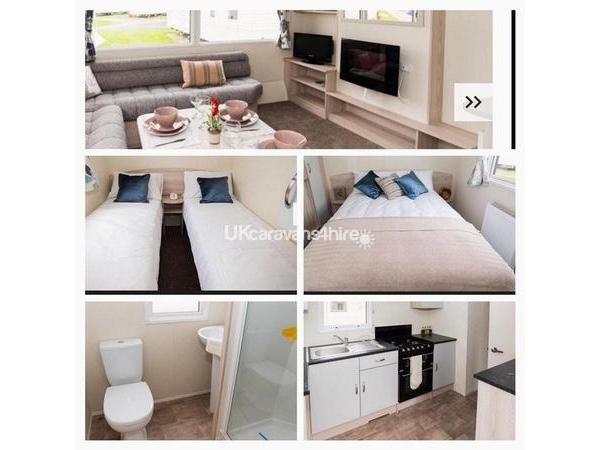 The damage deposit is refunded within 72 hours after your holiday once the caravan has been checked and everything found in the same condition as hired. We politely ask if you can report any damages to us so we are fully aware and can replace for next guests. 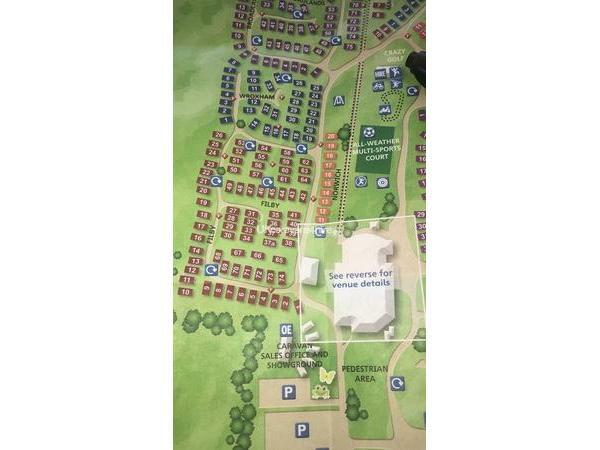 Prices do NOT include passes but these are available to buy from Haven reception on arrival or if you prefer we can include in your holiday package. Passes are only needed for the evening entertainment in live lounge and access to the swimming pool. Bed Linen is not include although we provide pillows and duvets we just ask you to bring your own or hire from Haven on arrival. We can include and make up on arrival but there is a supplement per room (£25 per room) and must be requested at time of booking. Please can you advise ages of each person in your group. 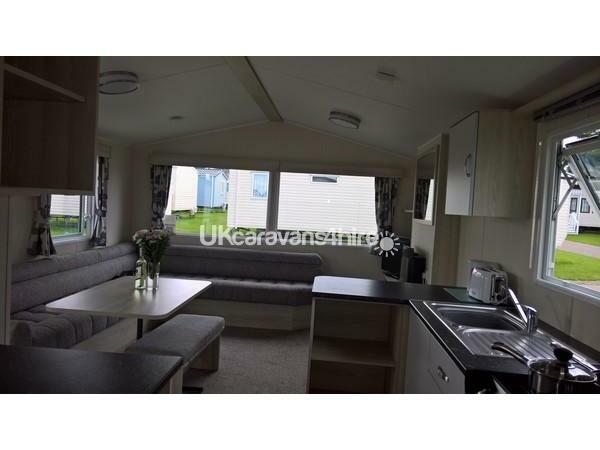 Our Lovely Family 3 bedroom caravan which is complete with full central heating and double glazed so you don't need to worry about any cold evenings. 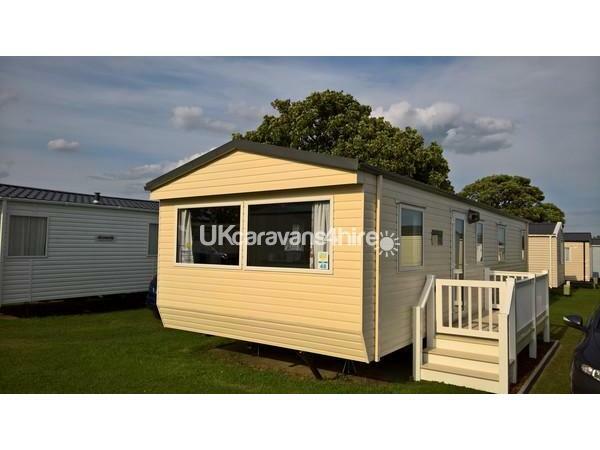 Situated on Haven Caister Holiday Park (graded Deluxe by Haven) and very close to the main entertainment complex but at the same time on a quiet cul de sac so no through traffic ideal for kids to play. Outside is an enclosed side decking area with gate and steps, off road parking and external lighting. 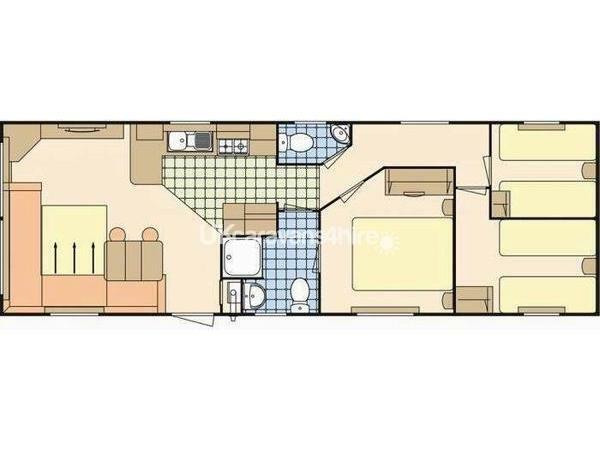 The caravan comprises of one double, two twin bedrooms plus a double pullout sofa bed in the lounge. Toilet with shower which has 2 doors one to main hallway and one to main bedroom, as well as another separate toilet. Lounge area with ample seating plus table and seating for dining. There is a electric fire and TV with freeview. Kitchen with all modern appliances including microwave, toaster and kettle. We also provide tea and coffee plus fresh milk on arriva as well as a small welcome gift. (Please let us know if you have any dietary requirements for example full fat milk or soya milk). 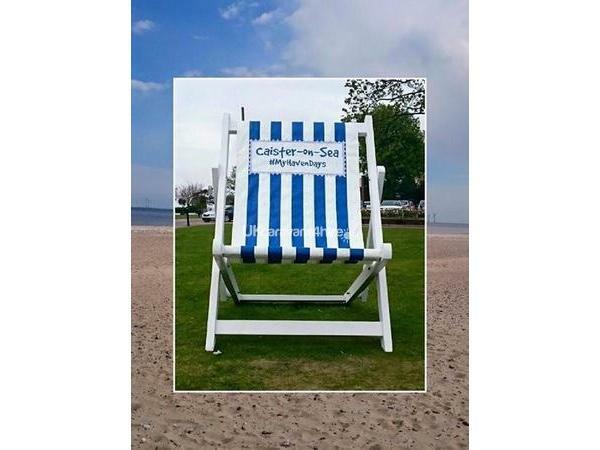 Caister Holiday Park is close to Gt Yarmouth, the Broads and many other great attractions to be found in Norfolk. We will also rent for a full week or 2 if requested. Discounts for more than 7 night stays just contact us for availability and prices. Please note changeover days are Monday and Friday but we can offer Saturday's or other days so always message us for prices and availability. Quilts and Pillows are provided so either just bring your own duvet covers, pillow cases or Hire from Haven reception for a small charge. Failing to do so may result in us charging for having to replace duvets and pillows. Please note : Passes are NOT included but can be purchased on site from Haven reception. Strictly No pets and No smoking policy. 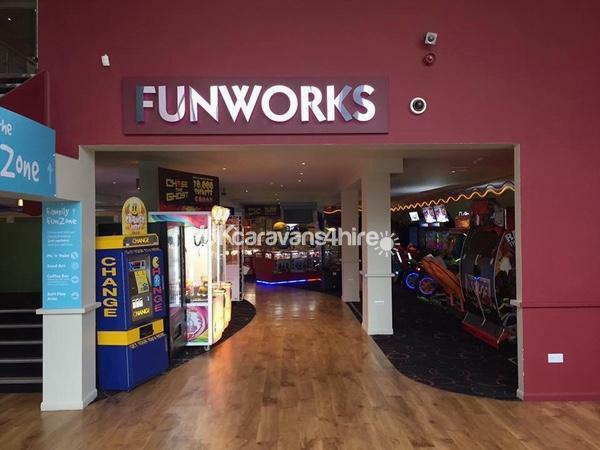 Pub/Club, Amusement Arcade, Indoor Pool, Laundrette, Crazy Golf, Park, Mini Market, Takeaway (Papa John's or Fish and Chips) Restaurant, Kids Club and Activities (including slides, zip wire and trampolines). Loved our stay. 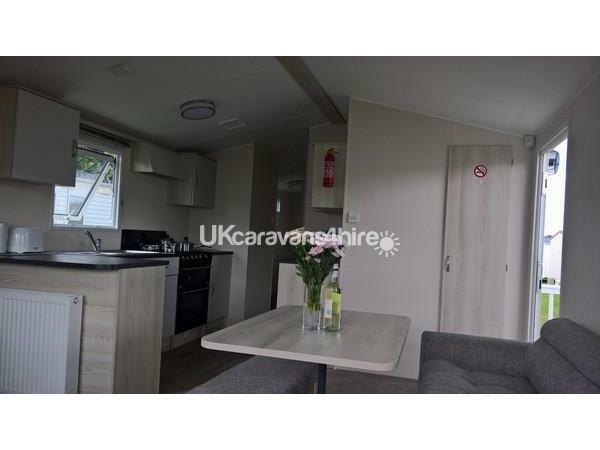 Lovely caravan, ideal location and lovely owner. Would definitely recommend. Very delightful staying, caravan was very clean and very spacious. Tim and Bec are very friendly, and helped us with our enquiries. Will definitely be coming back and would high recommend. Many thanks Megan, glad you had a lovely stay, nice to meet you and look forward to seeing you again soon. Many thanks Ruth, glad you had a nice stay and look forward to hopefully seeing you all again soon.